Sometimes things happen and I realize how much of a geek I am. For example, anytime anyone or any company talks about a “Golden Ticket” I get super excited! Like I can’t help but want to participate it. Its silly, I know. It always reminds me of Charlie and the Chocolate Factory….you know the golden ticket to chocolate factory. I’ll be honest, I’m not sure if its the thought of chocolate or if its my love of that movie, but I love golden tickets!! So, much to my pleasure, Stitch Fix is putting golden tickets in all the boxes they send out the month of December! What does this mean? It means you have the chance to win prizes with the biggest prize of free clothes for a year! Personally, I’ll be excited to win a gift card but would be stoked to win the free clothes for a year! The more boxes you order the more tickets you’ll get (one ticket per box. So two boxes = 2tickets). This makes it a great time to try out Stitch Fix or to order one if its been a while! You can follow THIS LINK to sign-up if you’ve not ordered before. In full disclosure this does give me a credit. Of course, if you get your box, you are not obligated to keep anything and can return all the clothes for the cost of the styling fee. If you want to see my first two boxes you can check out these links: STITCH FIX 1 and STITCH FIX 2. Anyways! I wanted to share that AWESOME news. Let me know if you Stitch Fix and what you’ve gotten and loved! Let me know too what prize you win off your Golden Ticket! I’m over all a skeptic when it comes to many products out there today. Especially ones that claim health food status. My skepticism mostly comes from the thought if it seems to good to be true, it probably is. With that being said, I decided to try It Works Greens. Before I get into the review, let me explain the WHY behind it. I’m in graduate school. Nurse practitioner school to be exact. Its killer. This summer semester I did my first clinical rotation, 9 credit hours and managed to maintain full-time employment. Crazy! Oh, I’m also a mom to two very busy little kids and a wife to an amazingly supportive husband. I got really sick for about a month which added to my stress. I’m on break right now but I’m looking at another semester starting up soon. I have several people I know who sell It Works and their multiple daily posts on Facebook the products kept coming up on my news feed. This last semester, I drank a lot of caffeine. I was up to 3-6 cups of coffee and 2-4 cans of soda. That’s a lot… As finals came and went, I began thinking about how it would be nice to drink less caffeine and take a vitamin or some sort of immune support before next semester started. The vitamin part shouldn’t be too hard, I have them in cupboard. But the cutting back on caffeine, that would be hard. Enter, It Works. Its suppose to provide all of that and a bonus 8 servings of fruits and veggies in one cup. I went to an adoption fundraiser and an It Works vendor was there. I bought a one cup packet of the Greens and chew thing. I’ve not tried the chew thing yet. I felt having another green packet would be nice, so I reached out to a friend who sells it and asked for a sample. She sent me two. Neither of the two ladies asked me to write this review. Before gulping down these samples, I tried to do some research. That’s when I discovered that outside of Amazon, I couldn’t find any reviews not written by someone selling the product. That really bothers me when I’m researching a product. I want to see non-biased (meaning I’m not making money off this product) reviews. So, I decided once I’m done sampling it, I would write a review. Also, I tried hard to research green products. What I found was for potency, other products claim to have more bang for the buck. This was per websites ( For Example). I also came across some concerns with green drinks in general regarding contamination (For Example). However, the safety of greens is not what my review is about, so if you’re looking at green drinks (I’m using this generically now, not as It Works Greens), you’ll want to do some research to decide if its right for you. So, now, without further ado, I present to you, my review of It Works greens. 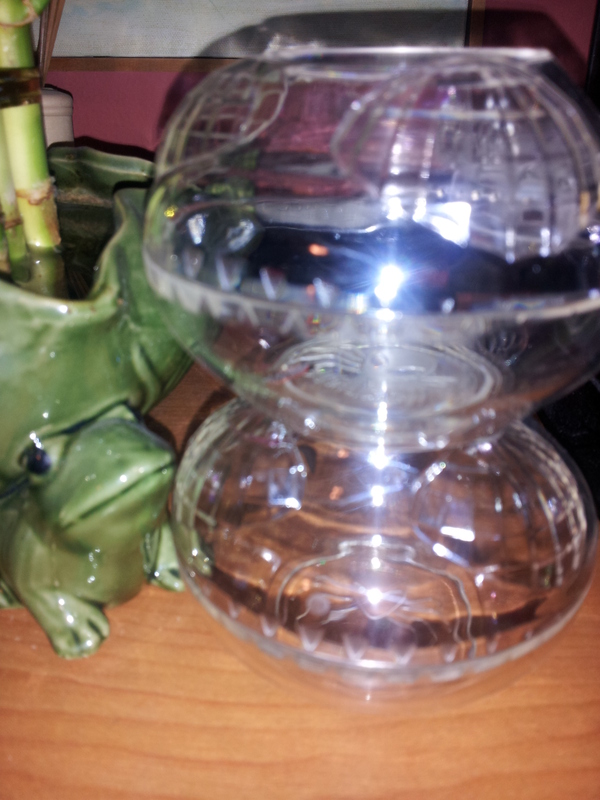 I like to drink my water room temperature. So, I poured one of the packets into a cup of room temperature water. The first thing I noticed once I ripped open the top of the package is the smell. It smelled very good, like berry Kool-aid. I poured it into the water and shook it up. I used a little over 8 ounces in a shaker bottle. The water turned a green color but still smelled good. So, I took a swig. At first, it tasted very berry and not bad. However, the after taste came. It tasted very much like I envisioned something green. It had that “health food” after taste. It was not pleasant. I tried a few more drinks and almost gagged. I added some ice which seemed to help me get the rest of it down. When I drink caffeine, I get almost an immediate, yes let’s start the day! Some of this could be mental but I believe the caffeine kicks in pretty quickly. This drink did not have an immediate effect. However, I did drastically decrease my caffeine intake. I had 2 sodas and 2 cups of coffee on top of the greens. I didn’t drink any greens. I drank my soda and coffee as normal. Slightly less than typically. I was a bit nervous trying it again. After nearly gagging day 1. I skipped room temperature and went directly to iced. The taste didn’t get any better and I had some reflexive gagging. I was able to force it down. I was able to drink quite a bit less caffeine day. I had 1 coffee and 2 sodas. That was great! I reached out to the individual who provided me with the sample and she recommended apple juice. Personally, I hate apple juice. So that was a no go. We did talk about using the orange flavored in orange juice. But she didn’t have any orange flavor on hand. I had to take a break from the taste and try to find a different way to drink it. This was my final sample packet. I had been at the store the day before and found some fruit punch and thought it would work since the flavor was berry. It mixed up pretty well in the juice. And it by far went down smoother. I could still taste the “green health food” flavor of the powder but it was overwhelming and didn’t make me gag. Unfortunately though, I did feel like I could “taste’ the flavor anytime I burped for the WHOLE day. So that was a bit annoying. And I didn’t notice this when I drank it with just water. I had OK caffeine use this day. I didn’t drink any coffee until mid-morning. And then only sipped on it. I had a second cup of coffee late afternoon. I had a soda for lunch and then after supper. So that was really good. I didn’t think this product was as FANTASTIC as those selling it advertise. I still NEED caffeine to get through the day. Honestly, I like coffee so I know I’ll always drink a cup for recreation. I was hoping though this product would cut down the NEED for it (feeling tired). However, it did cut down the amount of caffeine I used. The taste really wasn’t great for me. I don’t want to ADD calories to my diet by drinking juice every morning. So that’s a bummer. I also found the ongoing tasting of the product with any burps was an unwanted side effect as well. I will admit I’m a super taster (you know if you are a super taster if cilantro tastes like soap). If you are not a super taster, you may not struggle as much with the flavor. Or, if you like that health food taste, then it wouldn’t bother you either. Overall on a scale of 1-5 (1 being won’t touch this product again and 5 being loved it, give me more! ), I would give this product a 3. It didn’t quite give me the results I wanted (although it helped) and the taste was a major let down. With the price point being over 50/month unless you’re a loyal costumer which takes it down to a little over 30/month, I’m not sold on this product. I’m hoping to sample at least one other green powder. Hopefully I’ll love it more than this one! Thanks for reading! Have you found a powdered “green” drink you love? Share it with me! 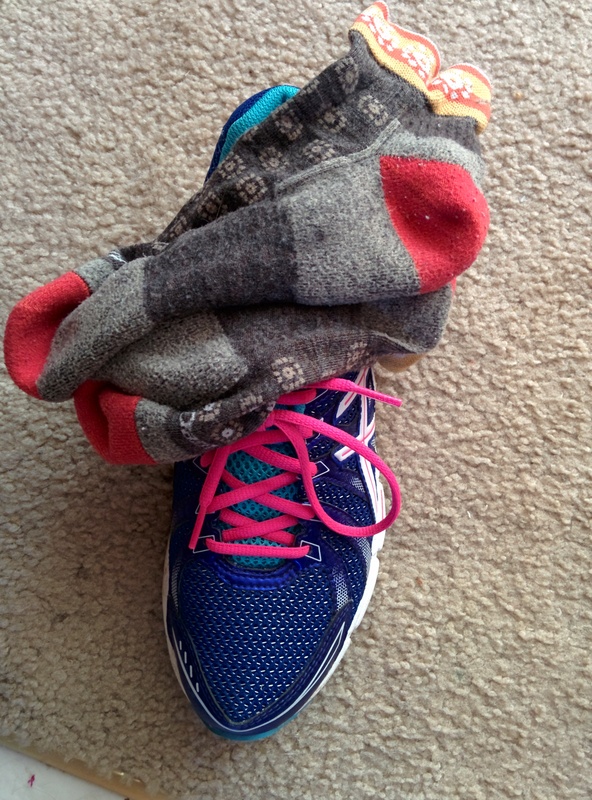 Wool Running Socks….yeah, I love’em. I’ve been jogging now for a couple of years. I still consider myself in toddler-hood when it comes to this sport. I’ve been doing it long enough, I pretty much understand how it works. I’ve now invested some decent cash in gear and chews/nutritional support, and I’ve done some longer runs to include 2 1/2 marathons. But there’s a lot more for me to learn, hence the toddler-hood. However, one thing I will tell you hands down, I love wool running socks. Go ahead, close your mouth, stop gasping and looking surprised. Because, yes I said wool. I know what you’re thinking because I’ve heard it. Isn’t it itchy? Or too hot? Does it wick moisture? I’ve heard it all. But the truth is, they’re amazing! I’ve tried a couple different brands and find they are quite superior to any other sock I’ve experienced. 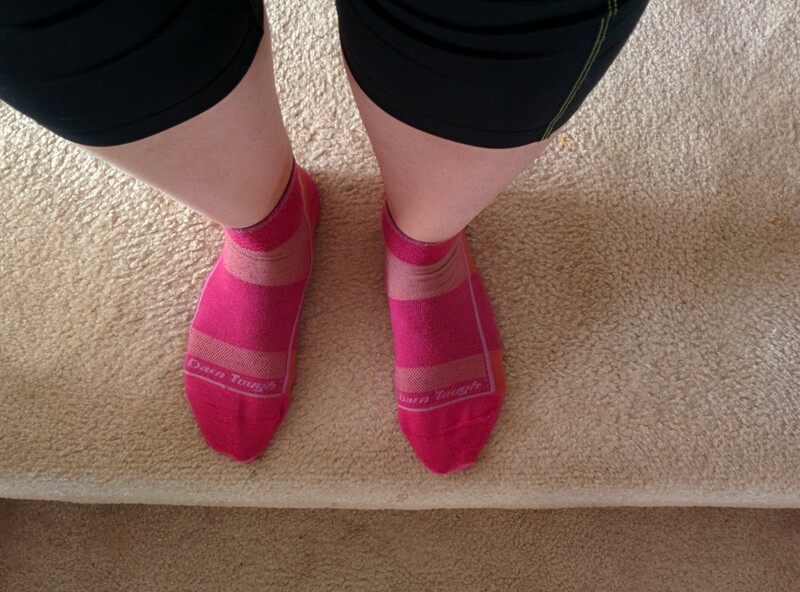 1) Comfort- My feet stay cool/warm appropriately, absolutely no itching. 2) Wicking- Nothing wicks like these socks, I’ve ran through a puddle completely soaking my feet and within minutes, my feet felt dry. After the run removing my shoe, my foot was completely dry! 3) Arch support- My feet feel like they’re getting a nice little hug. Amazing! 4) Long lasting- These wash well. I’ve had two of my socks for 2 years and they still look and feel great. 5) Minimal blisters- Up until my 1/2 marathons, I would’ve said absolutely no blisters. But I must confess I did get one blister during my 1/2 marathons. But I say that’s pretty good hearing and reading about the condition of other runner’s feet. The downfall, and there’s only one that I can think of…the cost. They are a bit pricey. They range from right around $10 a piece to around $30- Just for the record, I’ve never spent more than $17 on a pair. You can find them on sale and that’s when I purchase them. And I purchase, one here and there to add to my collection. In my opinion, the benefit and overall awesomeness of this sock, outweighs the cost. Go ahead, order some. Your feet will thank you. On a completely different note, I have a book give away HERE. Please feel to check it out and register for a chance to receive the book. Thanks! As I shared several months ago, one of my New Year’s Resolution was to complete a 1/2 marathon. I signed up for the Lincoln 1/2 marathon nervously and have been training now for two months. I’m pretty excited and nervous about completing it. My excitement lead me to sign up for a second 1/2 marathon just weeks after the Lincoln. This one closer to home. This one with a much stricter finish time- 3 hours and 15 mins. And I’m slow…very slow. I’m a bit nervous about whether I can finish it in the time limit. But, I’m going to try. I’ve picked up a couple of new products during my training time. I’m planning to provide a review on them as I use them. 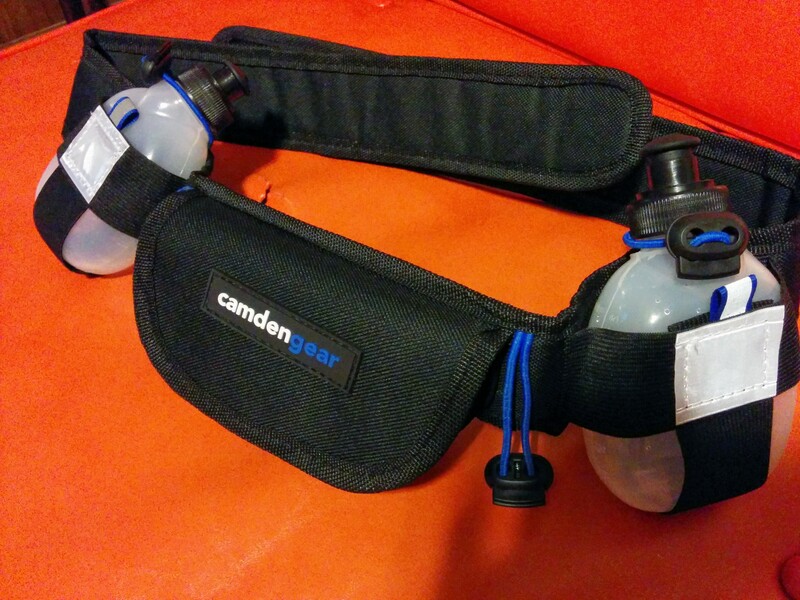 Today I’m going to review the Camden Hydration Belt. This was one of the first products I purchased for my run. Since I have reactive airway, I always jog with my inhaler. Prior to ordering this product, I was just using a fanny pack. Which worked, it easily held everything I may or may not need. The downfall is it bounced around, a lot. At the end of my 10K last fall, I had a line of skin irritation on my back from the fanny pack. I knew there’d be no way I could jog over twice the distance with a fanny pack. I did some research and found that if I was going to buy a new pack, I might as well get something that can carry water too. I read several blogs about how to prepare for a 1/2 and full marathon and several recommend some way to carry water. In my mind, it only made sense to have on item that could do both. So, I found this hydration belt on Amazon. I ordered it around Christmas and the winter was pretty bad here, so I didn’t get a chance to try it out until a few weeks ago. The belt is very comfortable and doesn’t bounce. I’ve worn it on a 8 mile jog as well as several shorter jogs. I’ve had no skin irritation. The pocket is a snug fit for my phone, small set of keys, and GU. Since I have to carry an inhaler with me, I like have the attachment strings. My inhaler stays in place while jogging and with no fear of it falling. The water bottles are small and, in my opinion, a good size for carrying along. The one downfall was one bottle had holes in it and leaked. I contacted the company and received excellent costumer service. Within 24 hours I had an email back apologizing for the leak and offering a more than adequate solution. This company certainly goes out of its way to help which is quite refreshing! I do recommend this belt for anyone who is looking for a hydration belt with a pack. It’s a great belt and I’m looking forward to using it for many, many miles as my 1/2 marathon approaches! Have you found in running or jogging products that you’d recommend? Have you tried the Camden hydration belt? I’d love to hear from you. 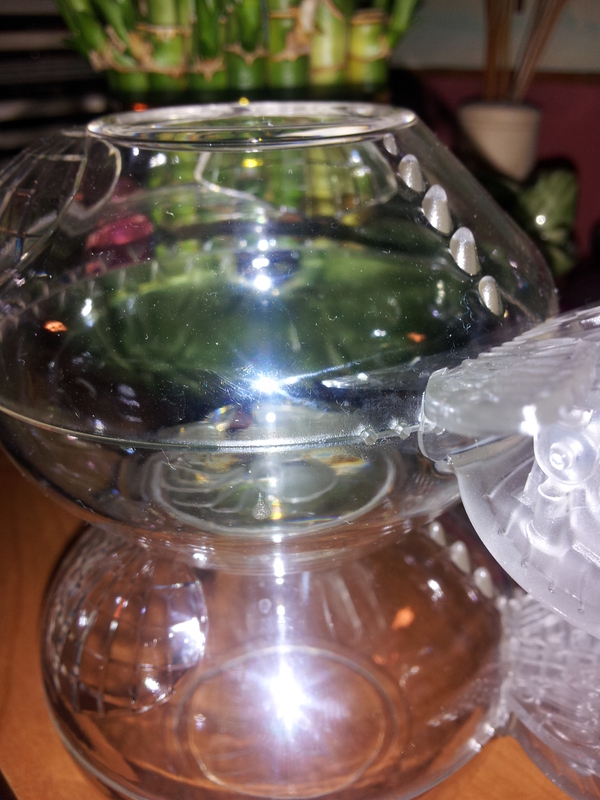 My kids like bugs, well, use to like bugs, when we ordered these. They’ve now decided bugs are gross and scary. Just a few weeks ago, my daughter was in the bathroom frightfully calling me. I went in there to find her bare bottom perched on the edge of the tub with her legs on the edge. Yup, there was a lady bug on the floor, close to the wall. One it was a lady bug, completely harmless and two, she easily could’ve walked around it. However, at that moment in time, she was completely and utterly terrified of the vicious beast known as the ladybug. As I said we originally ordered this when they loved catching bugs and we thought it would be a great activity once the weather warms up. Now, I think it’s a great activity because I’m empowering them to catch the bug and dispose of it. At least, once I convinced them the bug won’t hurt them once it’s in the catcher. Now they run around looking for bugs to catch which proves difficult since it is winter. Once it becomes summer, I’m certain they’ll be outside looking too. We found these adorable bug catchers on Kickstarter. If you’re not familiar with Kickstarter, it’s a website for people who’ve got ideas and/or inventions and need to raise money. You basically donate money to them to start-up their dream and then get “prizes” or “products” depending on how much you donate. If the item doesn’t reach its goal, then no money exchanges hands and you both go on your merry little way. Well, without further ado, I present to you the bugalien. I think it looks kind-of like a fish/frog. So I took some pictures next my lucky bamboo that has frogs on the stand. Besides the cuteness, the product seems durable and is very easy to use. My two year-old can easily open and close the mouth (see below) using the clasp in the back. Once the bug is inside, you “let go” or “release” the clasp and the bug is inside the frog/fish mouth. 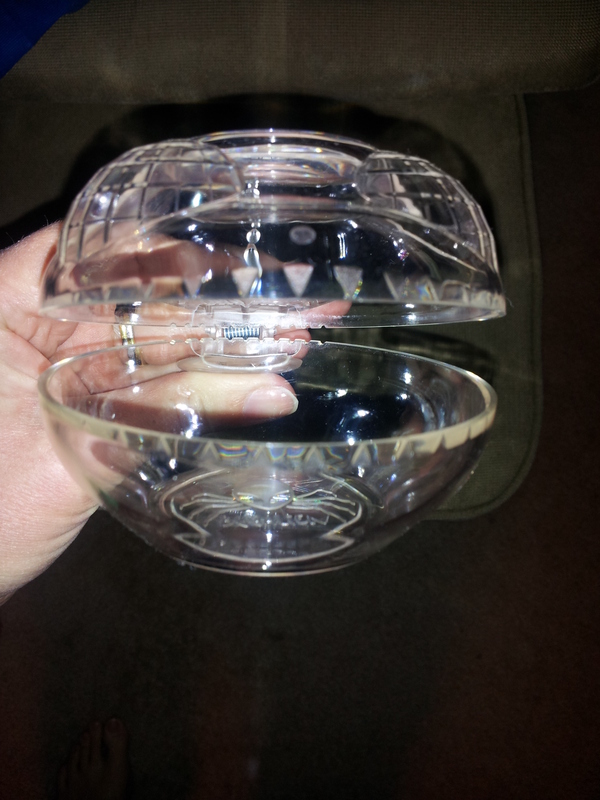 It’s a clear plastic so once its in there you can examine the bug and use it as a teaching opportunity. I imagine this would be useful as a classroom tool for homeschoolers or parents like us who like to teach their children about nature. Here’s a view from the side, the back tail is the clasp that you use to open the mouth. Note there’s two in the picture, one on top of the other. The mouth open and ready for bug catching! I can’t wait for summer so we can use it more. I’m certain we will have lots of science lessons this summer! 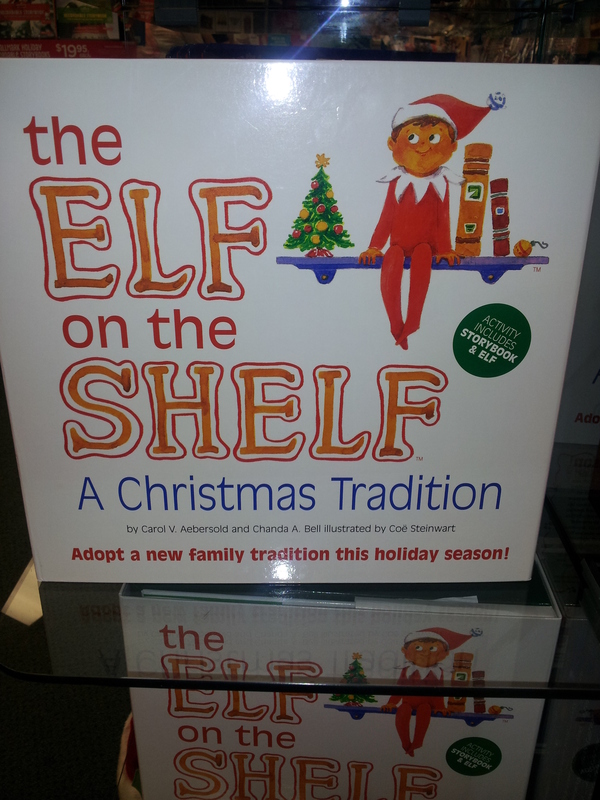 This year is the first year I’ve thought much about doing the Elf on the Shelf. I’m not thinking about it for the reason of conning my kids into behaving rather for building a new tradition and adding some more magic to the holiday season. I love traditions and that magical feeling I remember associated with Christmas. I remember the excitement building once December 1st arrived and I knew it was only weeks before the BIG day was here. As the days and weeks went by, my excitement grew until it was barely contained Christmas Eve. Growing up, we didn’t have a whole lot in the way of traditions. The few I remember mostly revolved around the actual Christmas Eve and Day. Very little tradition included the days building up to the holiday. In general, beside my internal excitement, my parents did very little to build-up to this momentous holiday. I can’t help but to wonder how much more special the holiday would’ve been if there were traditions that occur throughout the holiday season. Now as I raise my own children, I want to have traditions built into their memories. I want those traditions specifically to revolve around holidays. Most importantly, I want them to add to the excitement of the holiday. I want them to have positive memories that make them feel nostalgic when they’re in their 30’s and raising their own kids. Current traditions in our house: Thanksgiving we stay at home and have our own dinner. I shop Black Friday sales starting at Midnight then the day after Thanksgiving we travel to my husband’s family. We stay one night and return on Saturday. Our Christmas tree goes up either on Saturday or Sunday. This year we are returning to the Festival of Lights on Sunday (I’m planning this to be an annual event again). The month of December mostly just includes taking the kids Christmas shopping, watching every Christmas special we can, and seeing Santa at the zoo. For actual Christmas, we go to Christmas Eve services and the kids can open 1 present Christmas Eve, Santa comes, and we open the presents in the morning. Stockings have an orange and apple in the bottom for breakfast. Then we will go visit my mom on Christmas Day. Of course, both Christmas and Thanksgiving includes a huge meal. So, Elf on the Shelf, or no? Do you do it and if so, do your kids get into it? What other traditions make your holidays special?